Unreal Lawns supply and install artificial grass in Failsworth and the north west of England. We serve domestic and commercial customers in the area, with products suitable for a wide range of applications from outdoor spaces and gardens, to event areas, exhibition space and more. See below for some examples of projects we've carried out in the Failsworth area. 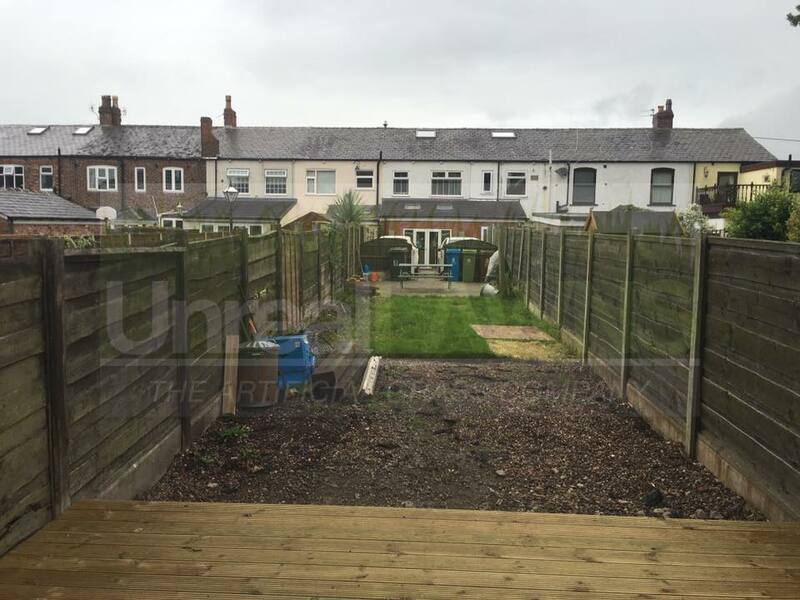 We were asked to transform a Failsworth-based family’s back garden, to tidy it up and make it more pleasant for them to spend time in. 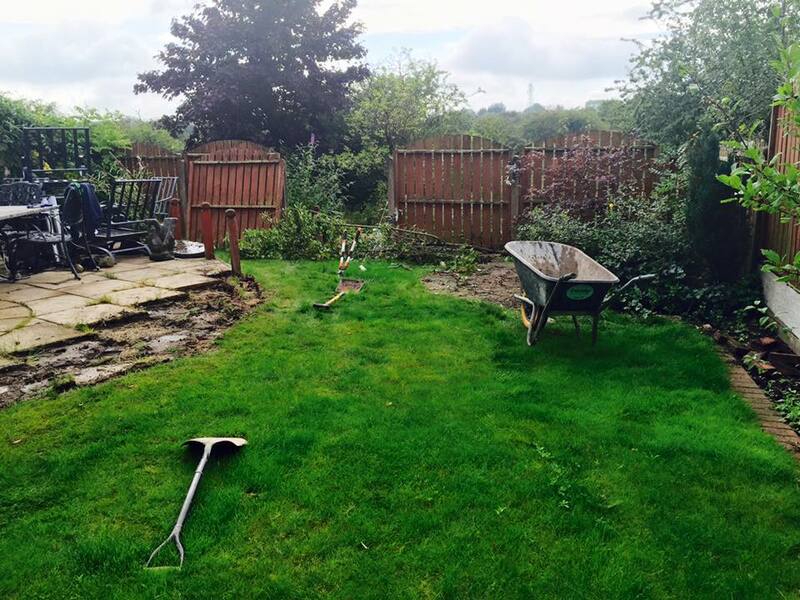 The garden was in a bit of a mess on arrival, requiring a complete overhaul. This included levelling out the area using 20 ton of stone, fitting block paving all around the edging, and finishing off with our Supreme artificial grass. The bottom corner was left uncovered to make space for a large shed. We hope you’ll agree this was quite the transformation, and the family were certainly happy with the end result. With the arrival of a new dog, we were contacted by this family in Failsworth to create a more dog-friendly lawn using our artificial grass. Using our Luxury 35mm artificial grass, we managed to transform the garden so that it was all ready for the dog to run around on. The lawn will now remain mud free, and safe for use by the dog and its family. As you can see from the photos it is quite the transformation. We know which garden we would rather spend time in that’s for sure! 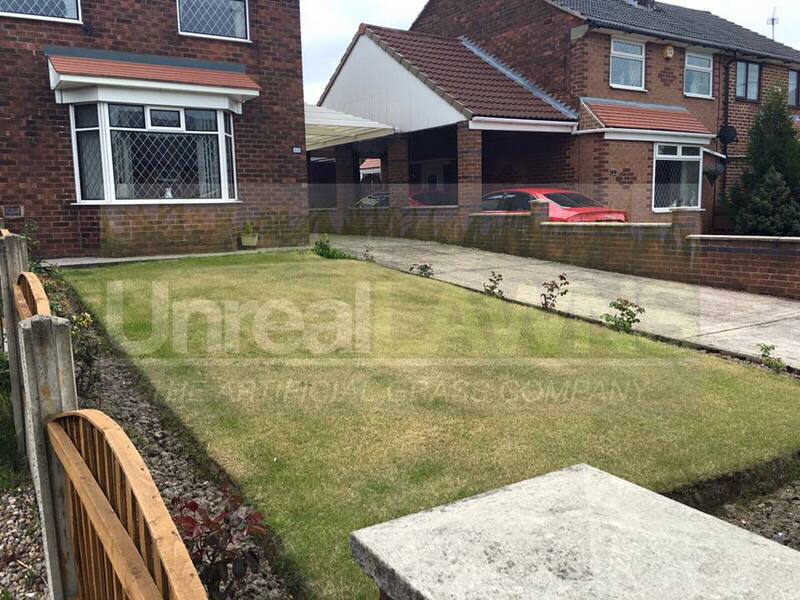 Unreal Lawns were called to install artificial grass for the front lawn of a property in Failsworth, Manchester. As you can see from the photos, the previous lawn’s grass wasn’t growing well and looked dull and worn out. After some work removing a lot of ground to bring the lawn level, and the installation of our Supreme 38mm artificial grass along with charcoal block edging, the front garden was brought back to life. The customers are happy with the kerb appeal their new lawn brings them.